Greta Thunberg does not mince words when speaking truth to power, and her soft voice silenced a room full of global leaders from the financial, political and media sectors. She is too young to vote. She has no capital to invest. She lacks a position of formal power to alter the course of global markets. What she does have is a voice, and a will to make it heard. 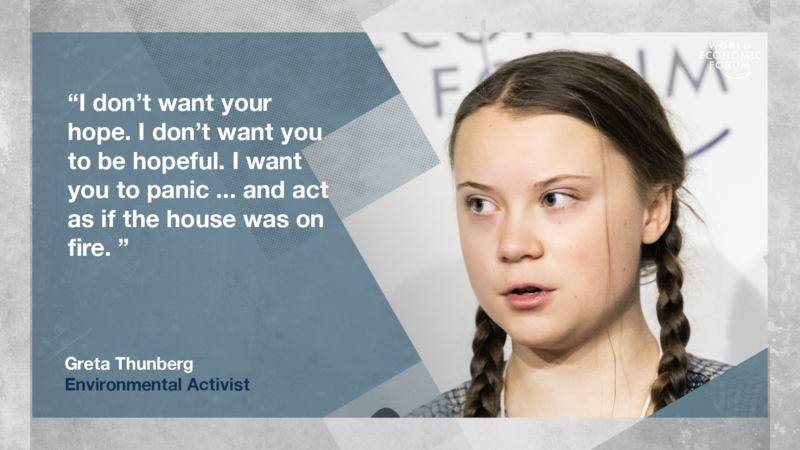 So every Friday, Thunberg stands impatiently on the threshold of powerful institutions -- whether the Swedish Parliament in Stockholm, or here in Davos at the Ice House – making the nonviolent case for zero carbon, “striking for the climate,” and inspiring students around the world to follow her example.